botf is now set up in Ubud with the family. Your correspondent loves Indo and loves Bintang. 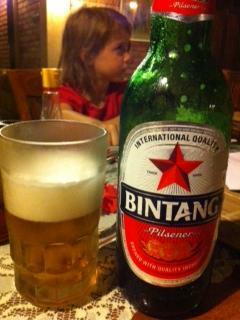 Only issue….there’s only Bintang. I have been set a challenge to get a fellow correspondent a Bala Hai T-shirt (the only other Indo beer we know). It will be difficult simply finding one to consume. With the Pacific Peso above parity with the USD, Indo is a great place to be. Great food and drink is cheap with a longneck of Bintang coming in at about AUD2.